Here at Rough Country we think everyone should have an opportunity to enjoy the same off-road lifestyle, so we offer amazing equipment at an incredible value and back it with top quality, unbeatable service, and a life time warranty! Now, S-10 owners have a whole new reason to be excited about their trucks! 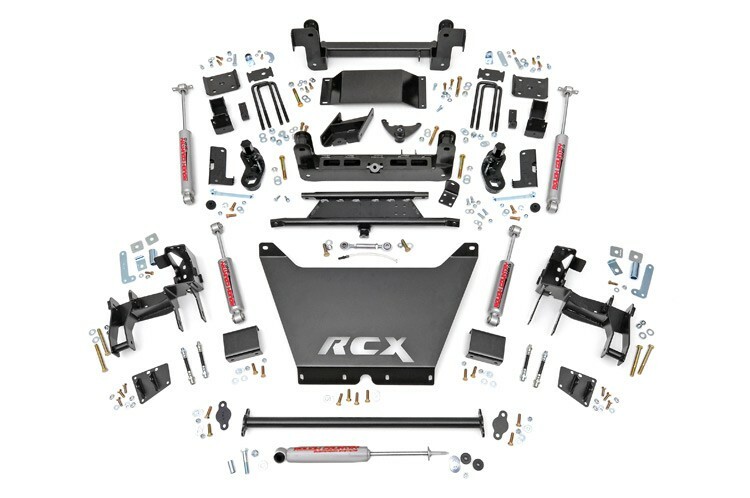 Rough Country is proud to announce the first affordable, all-inclusive 6in lift kit for 94-03 Chevy S10's! This kit comes with everything you need to go off the pavement and into the mudholes. Torsion bars stay in factory locaton! Maintains factory geometry and optimum component angles. Front skid plate is made from HD 3/16-inch grade 50 plate steel. Does NOT fit ZR-2 models. Does NOT fit Blazer/Jimmy models. Does NOT fit Standard Cab Pickup models. Does NOT fit 4-door (Crew Cab) Pickup models.